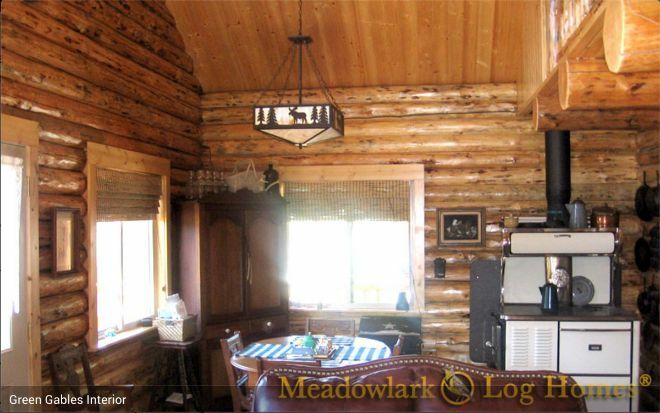 Meadowlark Log Homes has 4 decades of experience in craftsmanship and the Green Gables cabin is just one tiny - but gorgeous example of the quality of their work. 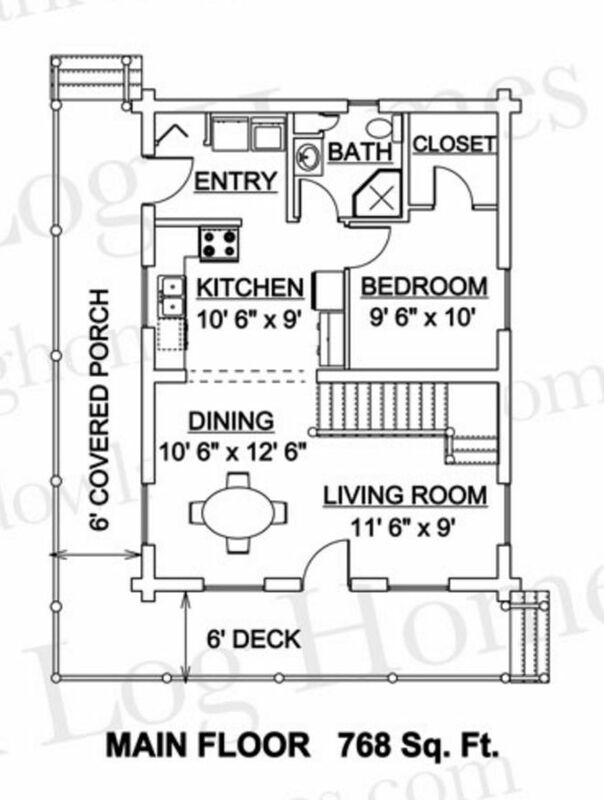 As they explain on their website, the small 2-bedroom house's 1049 square-feet includes an open kitchen combined with the living and dining area. 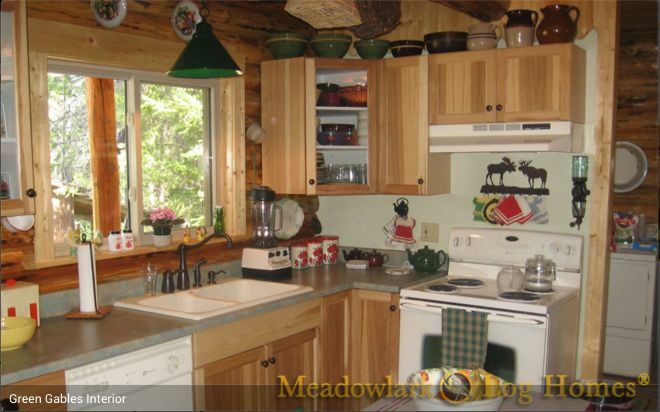 "The Green Gables has been one of Meadowlark’s top models for years. 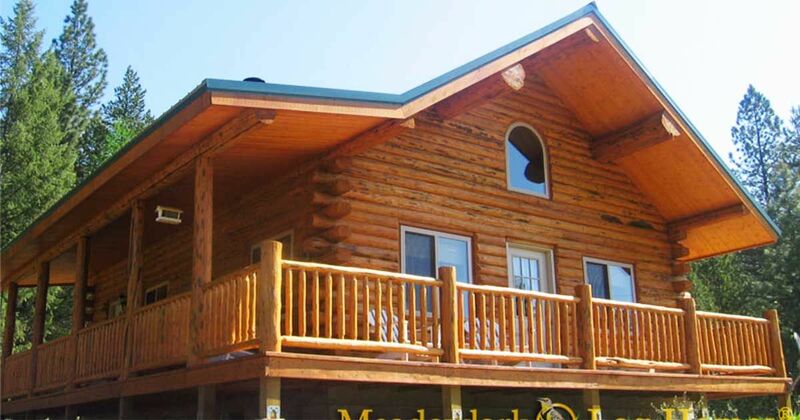 The layout is perfect for a small log home," they proudly recount on their website. The main bedroom and the bathroom are also on the first floor, but the second bedroom, perfect for guests, is located on the second floor. The woods, the blue sky, this is just the perfect picture! Imagine waking up every day surrounded by this natural beauty. A natural beauty that is also inside your home. 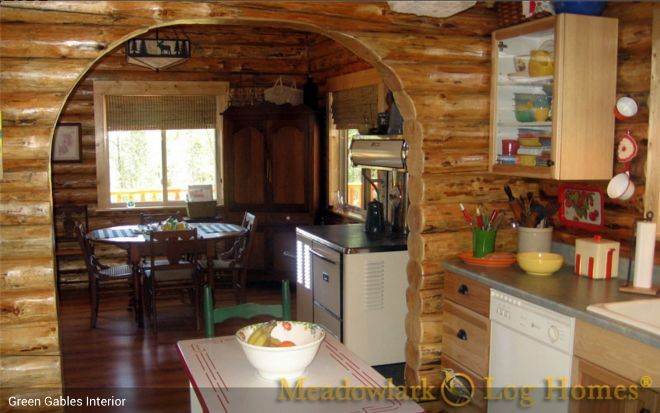 As you can see the wooden structure can be seen on every single wall of the cabin. What about that gorgeous elk lamp? 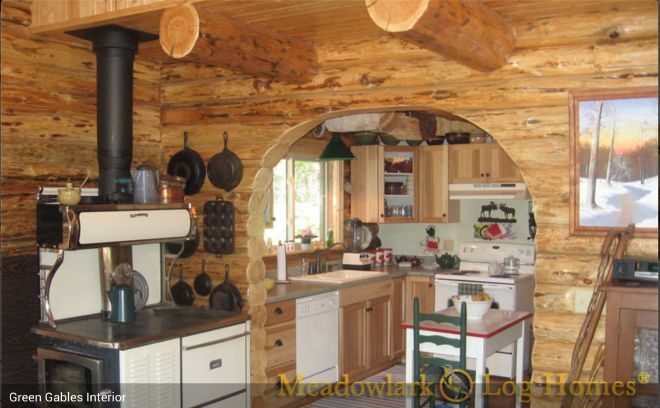 The arc door leading to the kitchen is one of the loveliest features in this house. Doesn't it feel like David Crockett could appear behind it any moment? 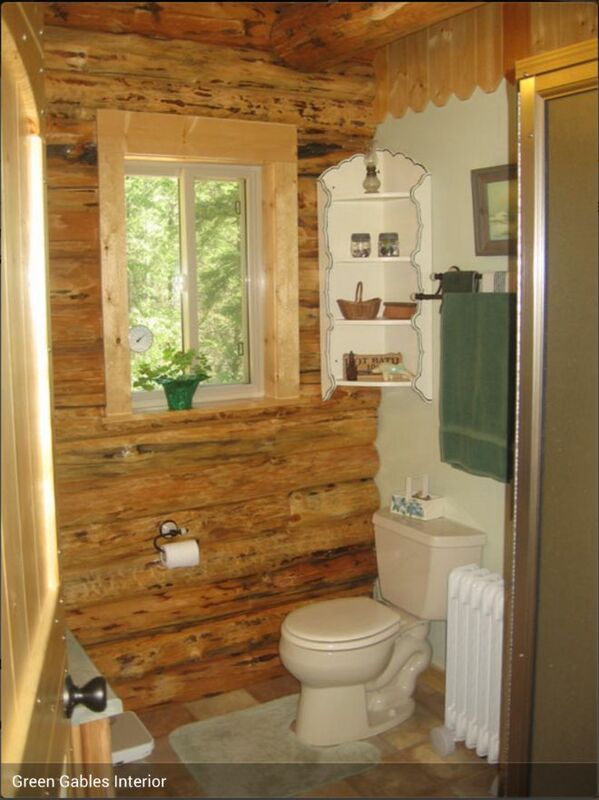 Even the bathroom is wooden from top to bottom and what is not to love about it? The second bedroom in the loft is perfect for when you have guests. 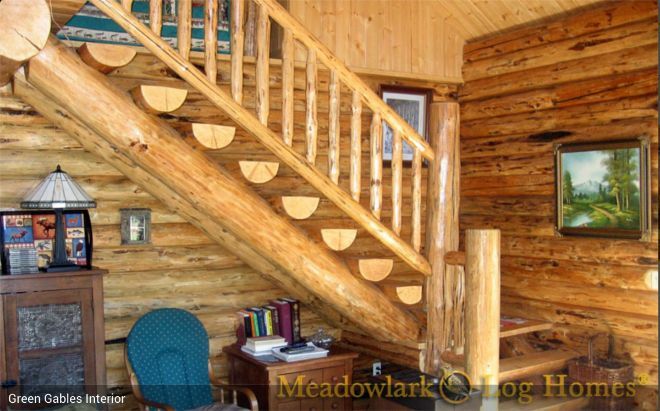 The beautiful stairway is our favorite thing in this house. 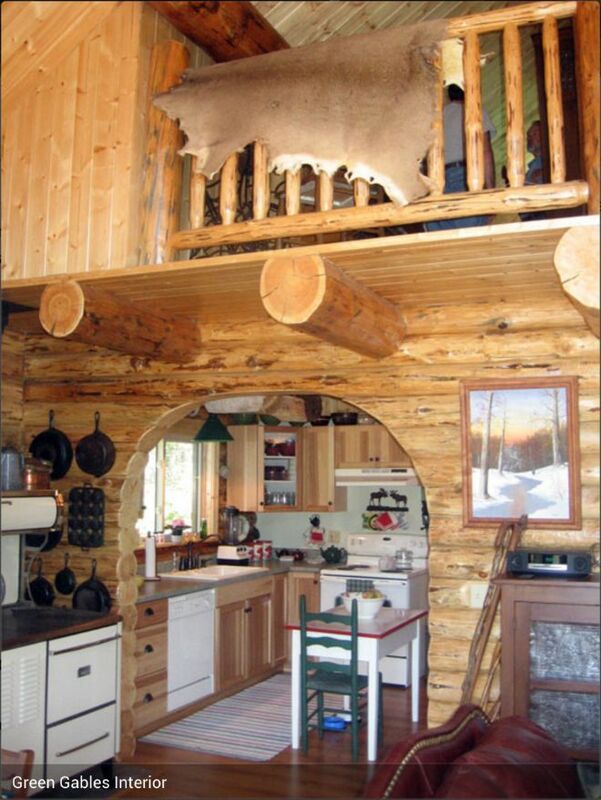 It was a rustic vibe that is almost impossible to beat. Finally, the master bedroom. 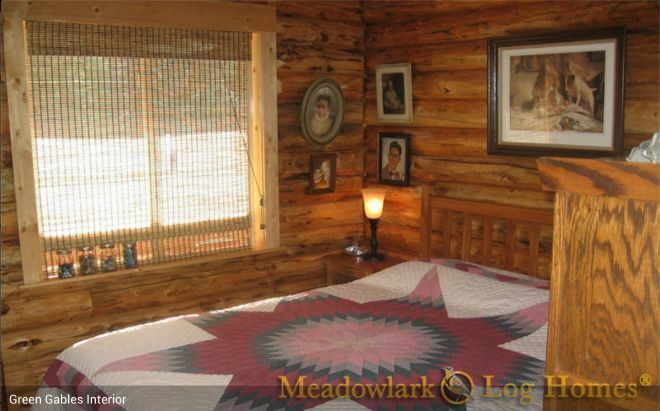 From the walls to the quilt, try to find a single detail that you don't like about it. 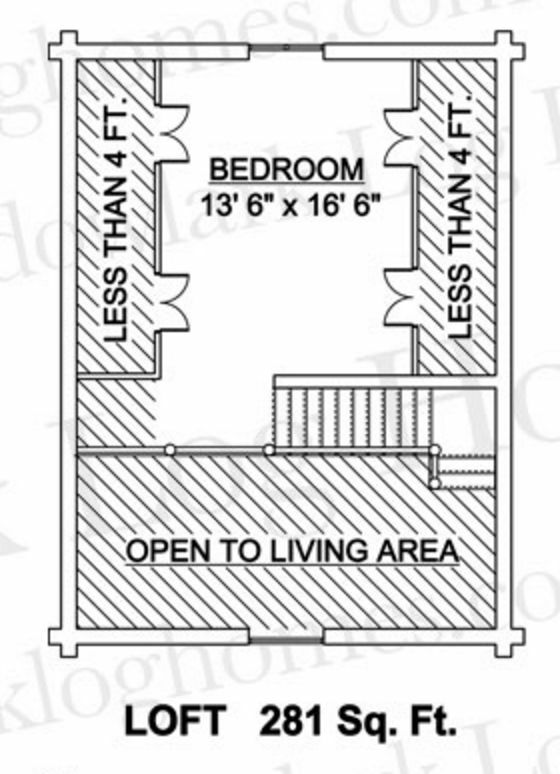 For the curious, we've included the floor plans here. 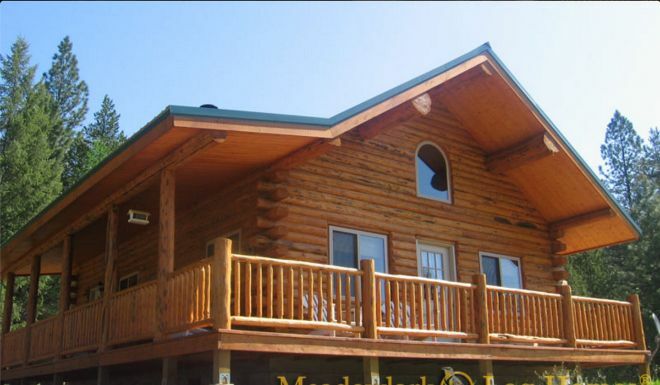 Are you in love with this completely wooden abode? If so, please share it with your friends so they can love it too!